I have to remember to have my husband take my picture early in the day. Today I forgot and it’s about 10:00 pm and I am tired. I taught a class and did about 1,000 other things already today. One thing that was good was that I wore this necklace. I love this necklace. It has Imperial Jasper, carnelian discs, vintage 1800’s green amber beads, old cloisonne, coral, wood, mother-of-pearl, you name it. I made this on a trip where I packed a bag with many ‘favorite’ beads that hadn’t been used. I intended to pack a bunch of filler items as well but somehow forgot. Over that weekend I made five go-for-broke necklaces filled with some of my very favorite beads. All just strung up; I didn’t have chain or anything else to use with the beads. 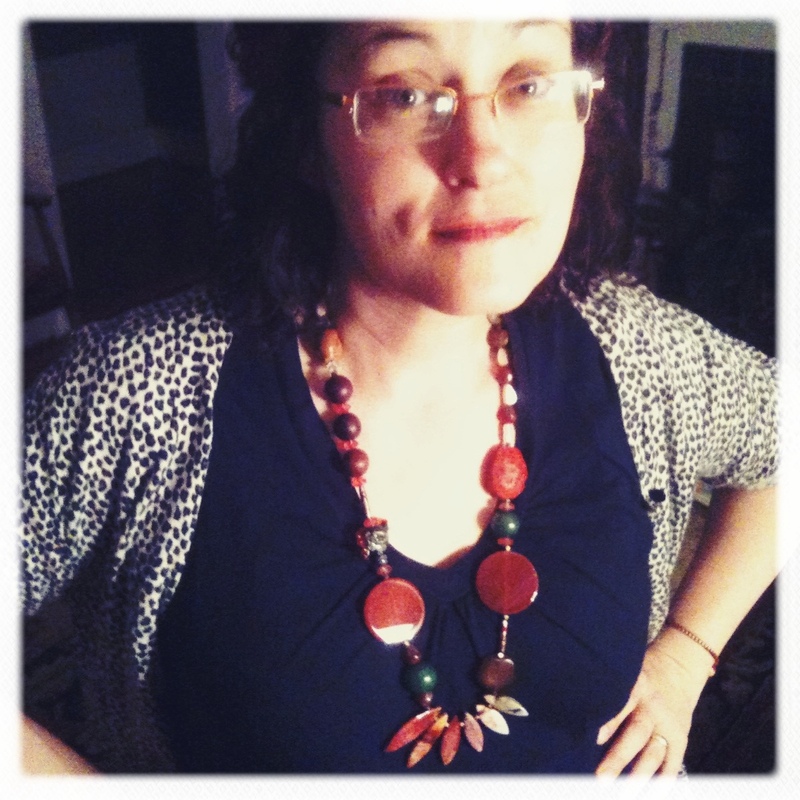 Each necklace was different but they all share some common beads and they actually look good together, in a very Frieda Kahlo way. I have just decided that this blog will sometimes include layered necklaces (meaning two or more at a time) but that when I do that at least one of the items I wear will be a ‘new’ design. That way I can show you how this looks all stacked up one day. Right now I’m headed to sleep.